"Śhuddha citta kā ācarana, dharma samajhiye soya"
- When the mind becomes pure and this purity is applied in our conduct, then it is Dhamma. "Dhāraṇa kare to dharma hai, varanā korī bāta." -Dhamma is Dhamma only if it is practiced. Otherwise it is empty talk. Let it not become empty talk. Dhamma should be practiced and applied in one’s life. If one does not even understand what is real Dhamma, how can one practice it? A person may understand that Dhamma means to purify the mind and to apply it in one’s conduct. But if he neither does the work of purifying the mind nor applies it in his conduct, then it is a great misfortune for this person. But if one only recites it and do not practice Dhamma, it is only empty talk, only intellectualization. How can one benefit from Dhamma if one does not practice it? As soon as one understands this, the path of happiness is open to him. He starts walking upon the path, he starts practicing Dhamma instead of wasting his time on empty talk. One should listen to Dhamma talks and reflect on it so that one can gain inspiration "I must practice Dhamma. How can I practice it? How will others know whether I am practicing Dhamma or not? How will others know whether my mind has become truly pure, truly peaceful or not? They will know only from my conduct, from my verbal and physical actions." I kill some innocent creature, is it not an unwholesome physical action? I steal or rob an object belonging to someone else, is it not an unwholesome physical action? I commit sexual misconduct, is it not an unwholesome physical action? I try to deceive others by lying, I abuse others, I defame others, I tell tales about one to another and cause a fight between two persons, I make useless conversation and waste my own time and the time of others, are these not unwholesome verbal actions? Even though I commit unwholesome physical and verbal actions, I am under the delusion that I am a very virtuous person. "Who can be as virtuous as I? I have performed a particular ritual in the temple or in the masjid or in the church or in the stupa or in the gurudvara or I believe this or that philosophical belief." Is it not a delusion? There is no Dhamma in your life. 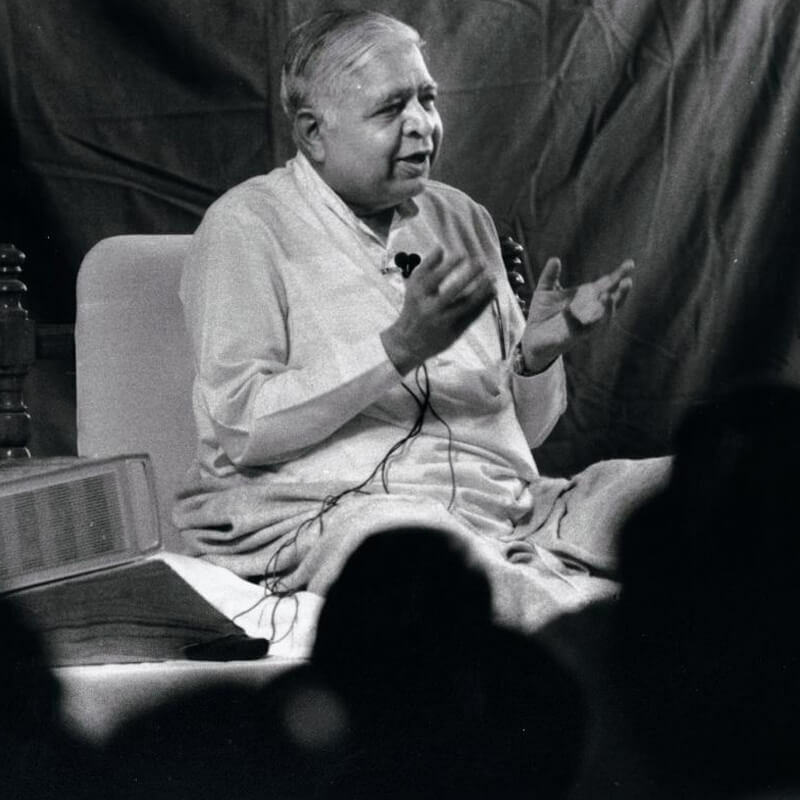 There is no Dhamma in your verbal or physical actions. How can you be Dhammic? Why do verbal and physical actions become impure? Because defilements have arisen in the mind and the mind has become impure. One cannot kill anyone until one generates hatred in the mind. Whoever it may be, one can kill someone else only after one generates tremendous anger, tremendous aversion. One has to generate greed, tremendous greed, only then can one steal. One has to generate tremendous lust, only then can one commit sexual misconduct. One has to generate arrogance or other defilements, only then does one commit unwholesome verbal actions: one lies, abuses others, slanders others and defiles the mind. We have understood that we should not defile the mind because as soon as the mind is defiled, we become its first victim. If we generate anger and commit some unwholesome verbal or physical action, it will cause misery to some other person but first we become miserable. As soon as we generate anger within, nature starts punishing us and we become miserable. If we generate any kind of defilement, we will certainly become unhappy. Therefore, any unwholesome verbal or physical action is harmful to us and harmful to others. If we can avoid these unwholesome actions, it will be beneficial to us, and beneficial to others. Dhamma is not meant for mere discussion, it is meant to be practised. If we argue, quarrel, fight and kill in the name of Dhamma, it is not Dhamma. There is not a trace of Dhamma in us. We have lost our way and become confused in the name of Dhamma. We are harming ourselves and harming others. A person understands very well, "I should not kill, I should not steal, I should not commit sexual misconduct, I should not commit any unwholesome verbal action: I should not tell lies, I should not abuse others, I should not speak harsh words." But he takes some intoxicant and becomes a slave of the intoxicant. Whatever the intoxicant causes him to do, he keeps doing that. He has lost his senses. Therefore, wise people have advised us to avoid intoxicants. It is easy to give advice. It is also easy to understand it at the intellectual level and to accept it. But how can one avoid intoxicants? An alcoholic understands very well, "Alcohol is harmful, it makes me lose my senses, it makes me its slave, and when I am intoxicated, I commit those actions which I should not do. I should not drink alcohol. It will be the cause of the destruction of me and my family." But what can he do? When the time comes, he drinks. A gambler understands very well, "I should not gamble. It is very harmful to me and my family. I should not gamble." But what can he do? When the time comes he gambles. An adulterer understands very well, "I should not commit adultery, it is not right." But what can he do? When the occasion arises, he commits adultery. An angry man understands very well, "I should not become angry. I am the first victim of my anger." But what can he do? Whenever something undesirable happens, he becomes irritated. Whenever something desirable does not happen, he becomes irritated, he generates anger and becomes miserable. So just accepting this at the intellectual level does not work. We should understand why this is so. Even though he understands that he should not drink, why does the alcoholic drink? Even though he understands that he should not gamble, why does the gambler gamble? Even though we understand that we should not do any unwholesome action, why do we do such unwholesome actions? Because the mind is not in our control. A person whose mind is not in his control may understand perfectly well at the intellectual level, but what can he do? He is not the master of his mind. There used to be an ancient tradition in India, a Dhamma tradition, an exemplary tradition. This tradition did not consist of mere sermons. If Dhamma only said, "O people of the world, you should not kill, you should not steal, you should not commit sexual misconduct, you should not generate aversion, you should not generate anger. You should not do this, you should not do that." And those who are listening bow down their heads and say, "You have said the right thing. Very well said. 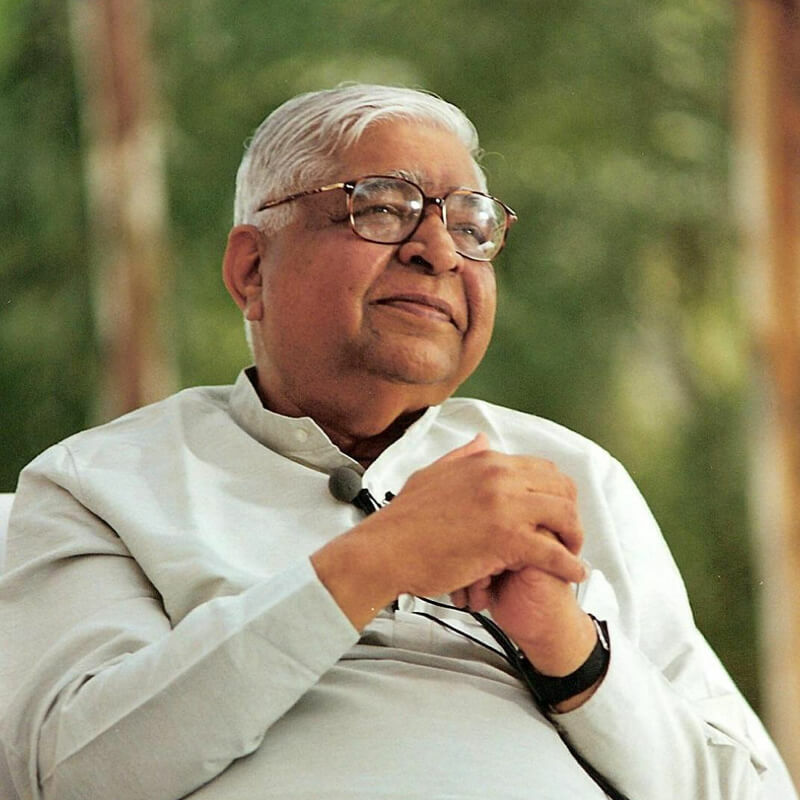 We have heard a very inspiring Dhamma talk." But they heard it through one ear and it went out through the other ear. We hear it every day. We should not do this or that unwholesome action. But how can we avoid doing it? How can we become the master of our minds? Many techniques, many methods, many kinds of meditation are taught to gain mastery over the mind. In India there was a meditation technique, a very ancient technique, by the practice of which one not only gained control over the mind but also uprooted the defilements of the mind. The habit pattern of the mind is to multiply defilements at the depth, the deepest level of the mind. One keep generating craving, aversion, egotism. It has become the nature of the mind to keep generating different types of defilements. So it is meaningless to only purify the surface part of the mind without changing this habit-pattern of the mind of generating defilements in its depths. So not only do we have to concentrate the mind and purify it at the surface level, but we have to change its nature at the deepest level so that this multiplication of defilements is stopped. This extremely ancient technique from India contains a very scientific way to remove the past stock of such defilements accumulated in innumerable lives. If this technique is practiced in its pure form it is highly beneficial and gives immediate results. The nature of the mind starts to change and the mind is purified at the deepest level. One starts to live a life of Dhamma. This is a technique of India. But it was not maintained in its pristine purity. It was contaminated by adding different philosophical beliefs, different rituals to it and confined within the boundaries of different organised religions. Because it was contaminated, it lost its efficacy, its ability to purify the mind and bring happiness. Once it lost its efficacy, why would people practice it? Everyone will practice a technique that provides immediate benefit. But if the technique does not give any benefit, then gradually such a technique will be lost. 2500 to 2600 years ago, this scientific technique to purify the mind had been lost in India. Siddhattha Gotama, the prince of Kapilavatthu, left home in search of this truth that there must be some technique by which we can get liberated from all suffering, from all our defilements. 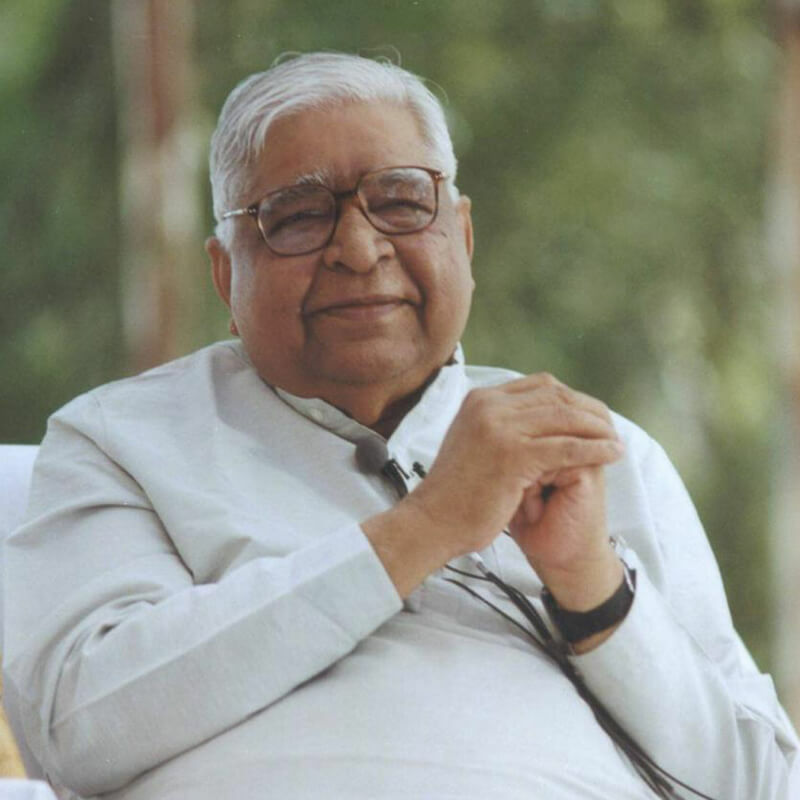 He had been exerting great effort and increasing his Dhamma-strength in many lives. In this life also, he exerted tremendous effort and rediscovered the technique of Vipassana. He gained real happiness, he purified his mind. He became pure, he became a Buddha. He became liberated from all defilements, was filled with infinite compassion and started teaching the technique. Throughout his life he taught it to everyone. For several centuries, India gained tremendous benefit from this technique. Then the technique became contaminated and it was lost. It went to a neighboring country and that country preserved it in its pristine purity. For centuries, from generation to generation, it was maintained in its pristine purity by a chain of teachers. Only a few people maintained it, but in its pristine purity so that now this ancient technique, this ancient treasure of India has again returned to the country of its origin. There used to be a tradition of meditation centres In India. There used to be meditation centres in different places, in villages, in forests. Not only recluses but householders also used to go to these meditation centres to learn this technique. They used this technique to purify their minds and to improve their lives. They became happy and became the cause of happiness of others. They became peaceful and became the cause of peace of others. Let us learn this technique thoroughly. This is not a technique of Buddhists or Hindus or Jains or Muslims or Christians this is the technique of Dhamma and Dhamma belongs to everyone. Dhamma is boundless, limitless. Dhamma is beneficial for everyone. Therefore let us understand how this technique is to be practiced. One has to go to a meditation centre and stay there for at least ten days to learn this technique by exerting disciplined effort. Once it is learned and practiced, this technique results in great happiness and contentment. Let us practice pure Dhamma. Let us practice the Dhamma of not just mastery over the mind but of purification of the mind. Let us practice the Dhamma not only of surface purification of the mind but of purification of the mind at the deepest level. This practice will lead to real happiness, it will lead to real contentment. Whoever practices Dhamma not merely empty talk, but actual practice will find real peace, will find real happiness. Whoever practices it will experience real peace, real happiness, real liberation.